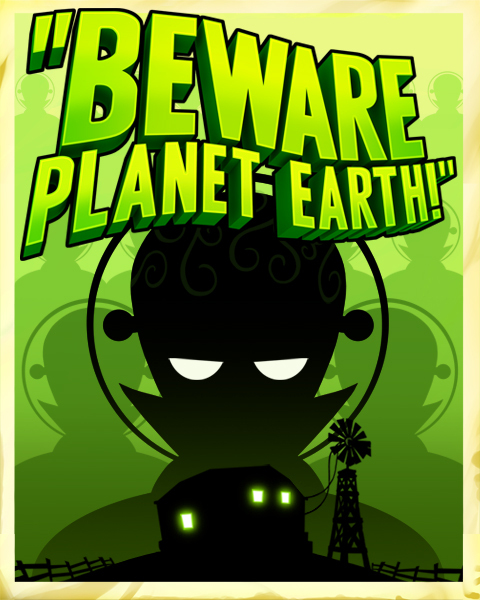 “Beware Planet Earth!” is a mix between classic tower defense and a time management game. 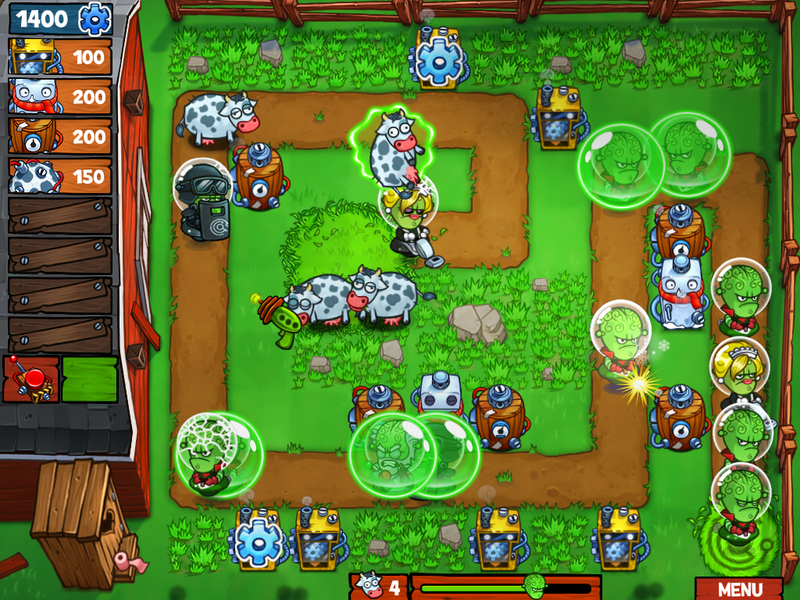 You have to save your cows from Martian invasion, not only by building an effective defense using towers, traps and objects, but also by firing directly your raygun at the green men.Help us repel the Martian invasion! Fast-paced tower defense game featuring a full Story mode (46 levels) and 18 bonus challenges. 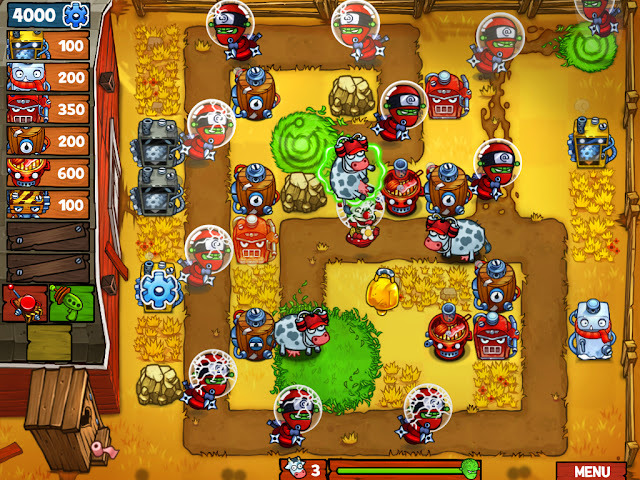 Two game modes: Veteran mode for experienced players, and normal mode for beginners to the tower defence genre. Intense multitasking action using the Zapper and the Cowbell. 20 machines to build, including defense towers, items and traps. 18 different Martians, each possessing a unique ability. 4 seasons, each possessing a unique environment, theme music, and gameplay twist. 27 achievements (with specific achievements for Veteran mode). Cheerful and comic cartoon atmosphere, spoofing cheesy ’50s Horror/Sci-Fi movies.